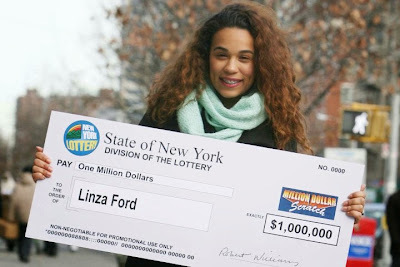 In 2012, Barbara Quiles, of Brooklyn, NY was experiencing a major decline in health when she became a millionaire from a $5 scratch off. Due to her health condition she thought it to be a wise decision to authorize her 19 year old daughter, Linza Ford, to claim the prize for her as well as have access to her winnings. The mother and daughter created an agreement in which Quiles maintained the title and both would have access to the winnings, which works out to roughly 20 annual payments of $31,152. All seemed to be going well until 2014, when Quiles' access to the shared bank account purposed for deposit of the winnings was revoked by her daughter. Reportedly, the mother has made attempts to reason with her daughter and regain access to funds that are rightfully hers, to no avail. Her daughter has since has left New York City for upstate New York and continues to refuse her mother access to the winnings. With no other viable options remaining, Quiles has filed a suit against her child. ...If this isn't the most triflin' thing I've heard of..